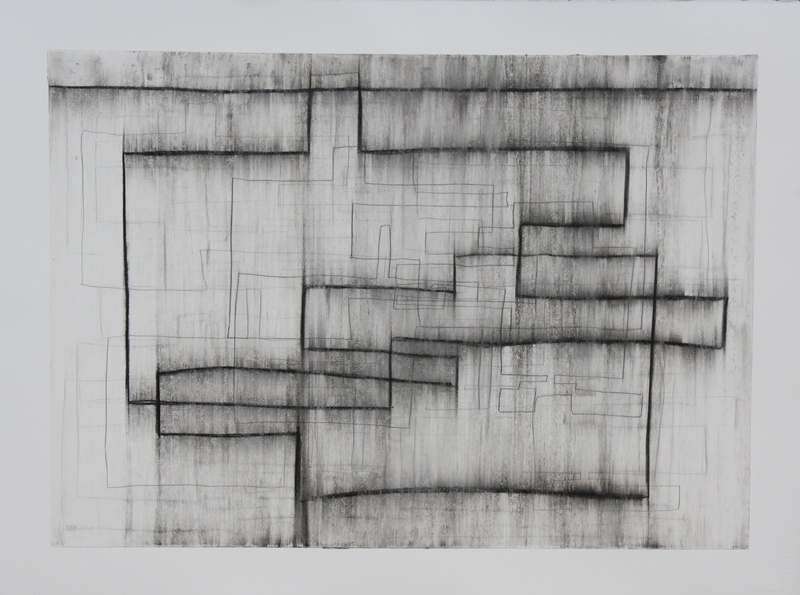 Monochrome drawings made in response to High Cross House Dartington, an exhibition commissioned by The National Trust. A significant amount of the work focuses on the immensely seductive curve that connects the two sides of William Lescase’s stark modernist structure, other pieces respond to the interior and exterior shape of the building, to the sounds, the silence and the echoes of the building. Previous PostFrom Surface to Structure at Jean-Luc Baroni, London Next PostParisCONCRET Le Long de la Ligne.